This best-selling book by the nationally acclaimed pianist is a realistic program for conquering nervousness, sharpening concentration, and enhancing coordination. This best-selling book by the nationally acclaimed pianist is a realistic program for conquering nervousness, sharpening concentration, and enhancing coordination. 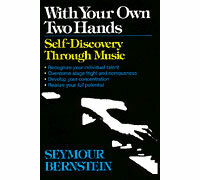 Bernstein observes that musicianship requires the same talents used in any activity, and shows how to develop a dedication to practice that can harmonize the musical and personal self. Sections of the book include: Practicing-A Key to Integration; Concentration and Sight-reading;Tempo-Rhythm-Pulse; Listening; technique and choreography; performance and memorizing skills.